A fundamentalist family in 17th century New England is targeted by a witch. It may feature a very traditional presentation of its titular antagonist, but The Witch is more psychological period drama than Saturday night horror flick, more Bergman, less Blumhouse. For centuries, European Christians believed Jews were responsible for kidnapping young children for the purpose of blood rituals. It's difficult to process such delusional bigotry with our contemporary minds, but this is a belief that prospered until the end of World War II. Most of the people who held this despicable conviction would have considered themselves good, decent folk, and most of them likely were; they had simply been sold a prejudice by a Church they weren't in a position to question. That said, you're not going to get any movies set in the past that portray Jews as living up to this stereotype. Witches, on the other hand are still fair game. At some point, many of the myths proffered about Jews began to be transferred to women, thanks to the male fear of menstrual blood, resulting in the murders of thousands of innocent females. As it happened so long ago, we seem to forget this point when we dress our kids up as witches for Halloween. In the '70s, folk-horror became a trend in horror cinema, and most of these movies repositioned witches as the victims they really were, with the Church occupying the position of villains in movies like Mark of the Devil and Witchfinder General. Others, like Hammer's Twins of Evil, blurred the lines, giving us supernatural villains battling Christian fundamentalist anti-heroes. We've become so accustomed to seeing religious figures portrayed as villains in horror cinema, that Robert Eggers' The Witch is a shock to our culturally progressive systems. The protagonists of his tale are 17th century Protestant fundamentalists, whose views would be roughly in line with those of modern day ISIS and Al-Qaeda, yet the movie manages to make us side with them by convincing us that they genuinely hold sacred their beliefs, even if we don't. While there's an argument available that many of the images Eggers presents us with are figments of his characters' deluded minds, he presents them nonetheless, and within the opening minutes we're shown a very traditional image of a haggered old witch brutally murdering a child for a blood ritual. The unfortunate child in question is the infant son of William (Ralph Ineson), a farmer kicked out of a nearby plantation for holding religious views considered too extreme even for 17th century puritans. He moves his family to a remote spot by a foreboding forest where one day the child is snatched while in the care of his eldest daughter, Thomasin (Anya Taylor-Joy). This plunges his wife, Katherine (Kate Dickie), into despair. Meanwhile, his youngest kids, twins Mercy (Ellie Grainger) and Jonas (Lucas Dawson), have grown a bit too attached to a black goat named Black Phillip, who they believe speaks to them. William's eldest boy, Caleb (Harvey Scrimshaw), is beginning to develop some confused feelings for his comely sister, and is starting to question the validity of his father's beliefs. It may feature a very traditional presentation of its titular antagonist, but The Witch is more psychological period drama than Saturday night horror flick, more Bergman, less Blumhouse. In the '70s, a new wave of Australian filmmakers explored their colonial guilt in movies like Picnic at Hanging Rock and Long Weekend, in which the very land itself seems to be telling their human protagonists they don't belong there. Eggers seems to be presenting a rare American take on this phenomenon; his Hanging Rock is the forest William's family resides by, and animals like the aforementioned goat and cinema's least cute hare are seen staring intently at their human interlopers, though Eggers has the good sense to keep any communication ambiguous - there are none of Lars Von Trier's talking foxes here. 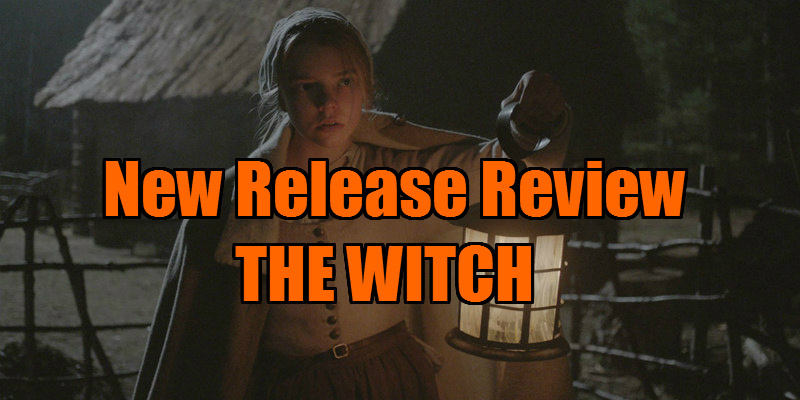 The Witch boasts a stirring ensemble performance, from veterans like Ineson and Dickie to newcomer Taylor-Joy, the latest in a seemingly endless line of English ingenues. The latter is asked to pull off a performance that keeps us guessing as to which side of the demonic fence she resides on, and switches between creepy and charming with effortless grace. 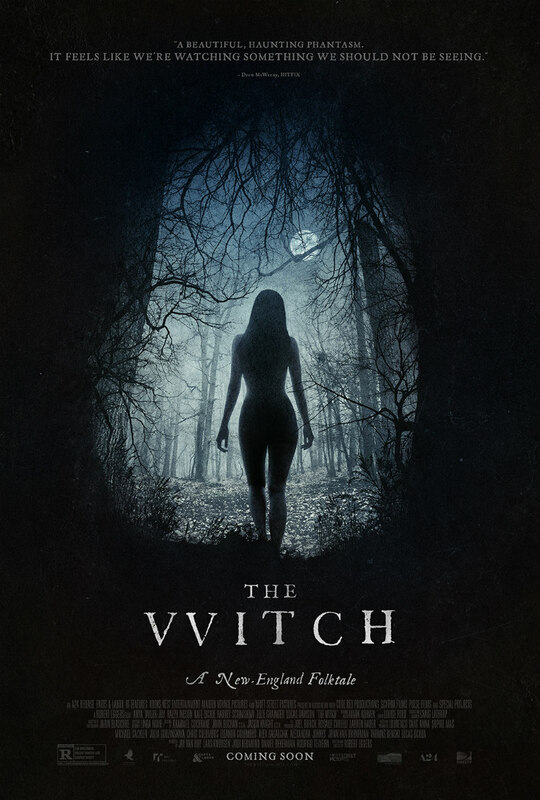 Presumably inspired by the success of last year's It Follows, The Witch has been granted a wide release Stateside, something usually reserved for the likes of James Wan's 'cattleprod' productions. Whether a mass audience embraces its subtle gifts remains to be seen, but horror cinema would seem to be in its healthiest state since the '80s, and director Eggers has been earmarked for a remake of Nosferatu.